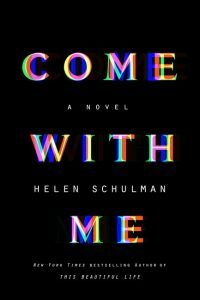 It’s not often that I find a book via a New Yorker review and then enjoy it as much as Come With Me, by Helen Schulman. (It’s also not often that I remember how I found such a book in the first place, but that’s another topic altogether.) This 2018 novel is about a family who lives in Palo Alto; the main character, Amy, works at a tech startup run by her best friend’s twenty-year-old son. 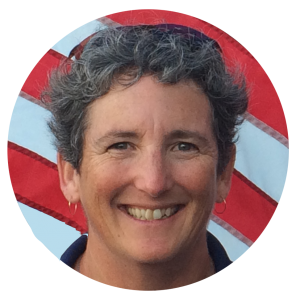 That dynamic alone might make for a great story, but Amy has at-home challenges too: raising three boys (a teenager, and much younger twins who are lovingly referred to as Thing One and Thing Two), in the era of online access to everything. Oh, and did I mention that Amy’s husband is an unemployed print journalist who deserts the family just when they need him most? But wait, there’s more. The startup has built a virtual reality algorithm that gives users access to their “multiverses”—all the alternate story lines their lives could’ve taken. Testing the beta version is risky, but who could resist the chance to replay scenes from the past, making different choices or speaking different words? As the only employee old enough to have a past life, Amy is the logical guinea pig. “What do you want to know?” he said. He was tapping on his smartphone. His feet, in Adidas flip-flops, were tapping along with his fingers. At a point. A great example of the best thing about this book: Schulman trusts her readers to understand what’s not completely spelled out. Following two divergent life paths is a concept I’ve always appreciated in movies (Me, Myself, I and Sliding Doors are particular favorites), and this 21st century VR version seems like a natural progression. Schulman’s explanation for her own fascination with “multiverses” made me better understand my own; in the author’s notes, she points out that “as a fiction writer, there are all these crazy, streaming, invented narratives that are forever playing out inside my head.” Aha! Another example of fiction that teaches me something about myself, even though both my life and writing are quite different from this book. Jack [teenaged son] came in with the knives and forks and chopsticks. The Things loved chopsticks. Sometimes they even insisted on using them to eat cereal, shoveling the soggy flakes up like sodden leaves, drinking the milk down from the side of the bowl. Amy took two and used them to anchor her hair. “You’re tickling me,” he said to Lily. “You’re ignoring me,” she said. My only nitpick with the entire book is this: the author’s obsession with the Fukushima earthquake and subsequent nuclear disaster is allowed to take over the story more than necessary to move it forward. But since the details on-site in Japan are just as well-written as the rest, it’s a small complaint. I would recommend this to anyone interested in exploring roads not taken, as well as those who are curious how “real” lives play out in the shadowed neighborhoods of Silicon Valley. I’d also recommend it to authors in search of the language to explain our crazy modern world. Come With Me is both page-turner and thought-provoker; the best possible combination.